Spring 2017 GSA Conference Scheduled for April 7th! Join 200+ GSA and student leaders from across the state! 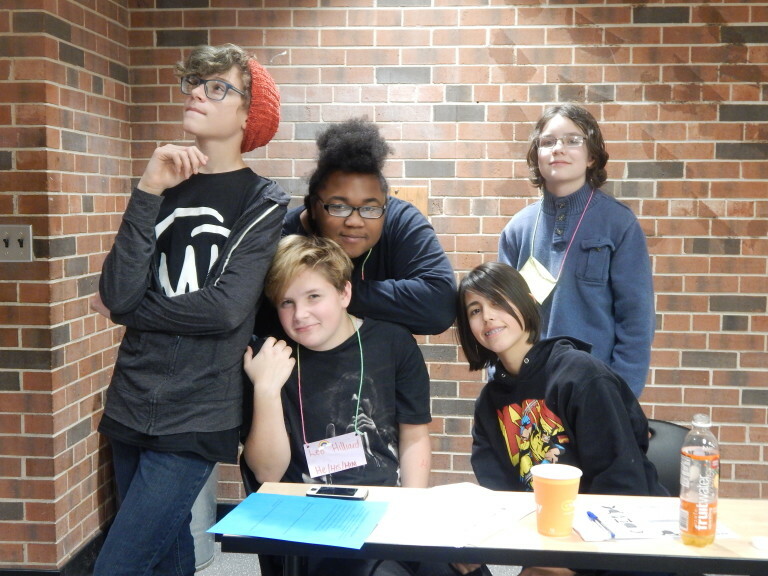 GSAFE’s Spring Conference is open to current middle school and high school students, as well as to GSA advisors and other school professionals who are supporting GSAs and similar clubs. The cost to attend is $15.00 per student, which covers lunch and supplies for all participants. There is no registration fee for chaperones and advisors. Need-based scholarships are available upon request, so please let us know if you have a student or students who requires a scholarship. Download our 2017 Spring GSAFE Conference Registration Form (Word) or 2017 Spring GSAFE Conference Registration Form (PDF). Due to the growing number of attendees at GSA events, we have set a registration deadline for 4PM on Monday, April 3rd. Please contact GSAFE by the deadline to let us know numbers of student and adult participants as well as any known scholarship, food, and physical accommodations requests. We cannot guarantee admission for schools that register with us after the deadline. Completed registration forms must be presented for each participant (including adult chaperones) and can be sent in ahead of time or presented at the conference registration table. Payments can be made by check or cash ahead of time or at the event. Please contact us if you need a different payment method or have questions! The conference will run from 9:30AM to 3:30PM. Registration opens at 9AM at Orchard Ridge UCC, which is located at 1501 Gilbert Rd on the southwest side of Madison, Wisconsin. The day will start out with a big welcome, large-group networking and icebreaker activities, and then participants will be able to choose between different workshops to attend. We are still finalizing the workshops, but we typically have workshops on such topics as coming out, building personal resilience, racial justice, transgender justice, sexuality and religion, know your rights, running effective clubs, healthy relationships and boundaries, intersectionality, suicide prevention, and more. Don’t have or belong to a GSA or similar club? We want you, too! We will also have workshops specifically for middle school students and for GSA and other club advisors. You do not have to send in the registration forms ahead of time, but it would be great to let GSAFE know an estimate of how many students and adults will be coming from your school. When you have a rough headcount, give Shawna Kollath a call at (608)661-4141 or drop her an email. See you in Madison on April 7th!